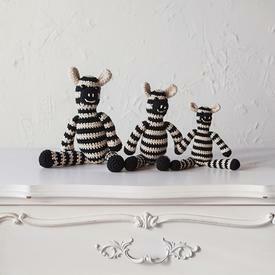 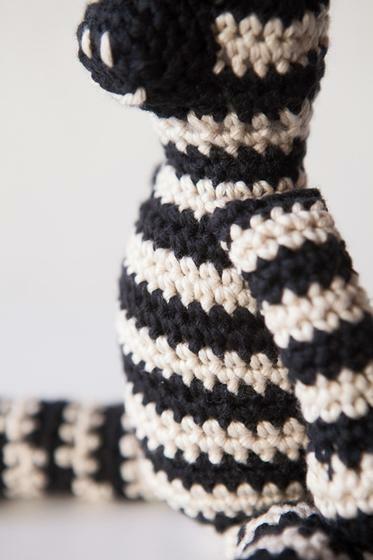 This cute and cuddly zebra makes a great gift! 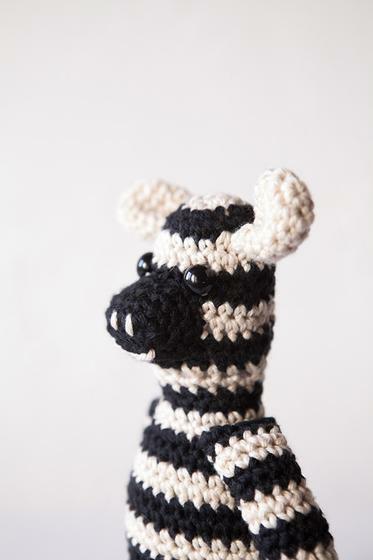 It requires minimal sewing and after ears, arms, and legs are finished, the zebra is worked from the head down. 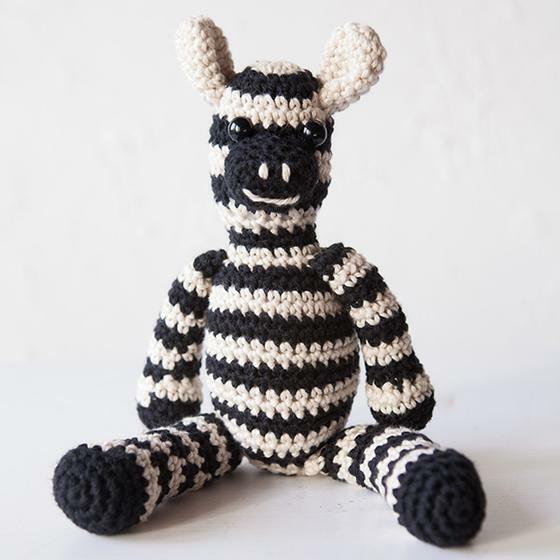 Charming and sweet, this zebra is sure to become someone's very best friend!